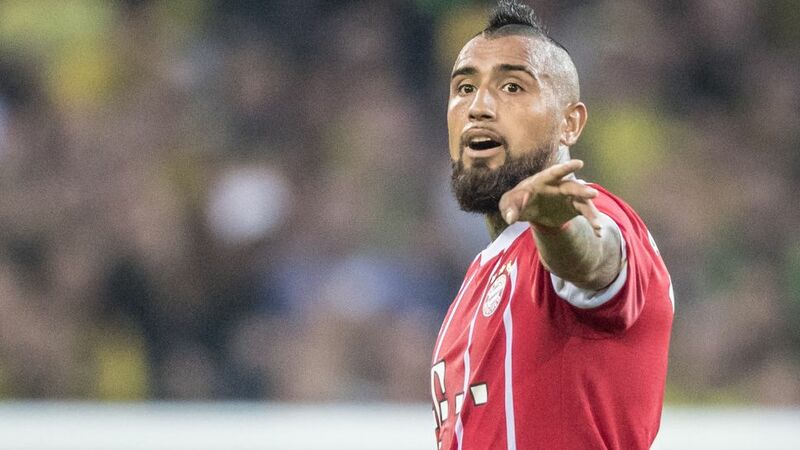 Bayern Munich midfielder Arturo Vidal plans to quit international football after next summer's FIFA World Cup, but acknowledged he may not even be able to steer Chile to the tournament in Russia. Vidal was on the pitch for last week's shock 3-0 home defeat to Paraguay before he was powerless to prevent the Copa America champions slipping to a 1-0 defeat in Bolivia on Tuesday. That defeat saw La Roja drop out of the qualifying places for the finals with just two South American zone qualifiers left. "Sorry Chile for these two losses! We gave everything on the field but we couldn't win. We will continue fighting!!!" wrote Vidal on an Instagram post of himself with the whole squad on the plane home after the game. "Two matches and the World Cup is what I have left, thanks for so much affection over all these years!!!!" The 30-year-old, who has won 97 caps since making his debut in February 2007, could have his international career ended before the end of the year, however, if the 2017 FIFA Confederations Cup runners-up do not win their remaining qualifiers at home to Ecuador on 5 October and in Brazil five days later and other results go against them. "I'm going to prepare myself to be at my best for the next two games [against Ecuador and Brazil] in order to go to the World Cup and then leave the national team," the former Leverkusen and Juventus star said. "The situation is terrible. But the important thing is that we still have a chance and we are going to fight until the end. With one month more under our belt, we should be able to take six points. I'm sad and down but I have a lot of hope." Asked about his retirement plans, Vidal added: "I've been thinking about it for some time, I want to be with my family. These ten years have been hard and the time has come to rest."